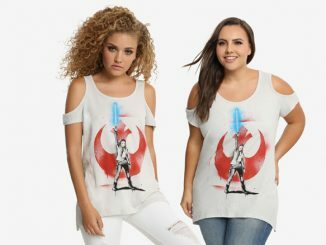 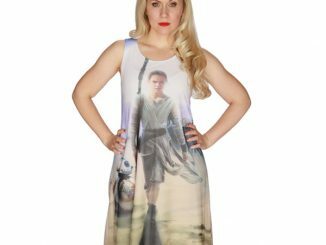 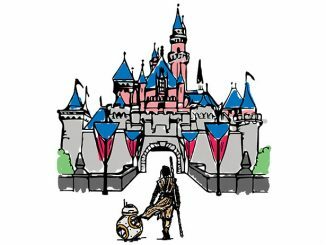 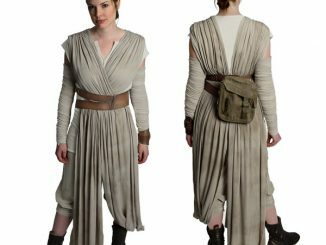 The style awakens with the Star Wars Rey & BB-8 Sunset Cold Shoulder T-Shirt. 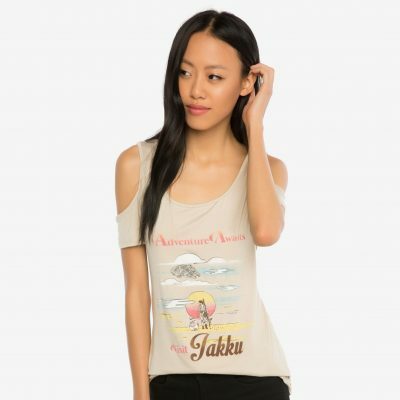 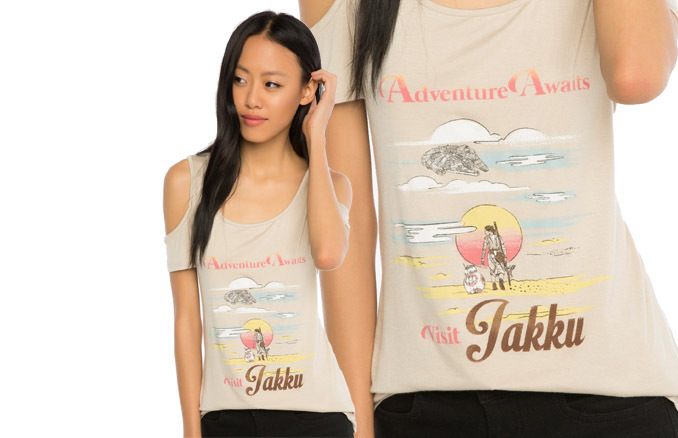 This tan, 95% rayon/5% spandex tee features a cold shoulder style and a colorful image designed like a vacation poster that has Rey and BB-8 strolling (and rolling) into the sunset, with the Millennium Falcon soaring overhead, possibly coming in for a landing so Finn can join them… because everyone knows how much Finn absolutely loves Jakku. 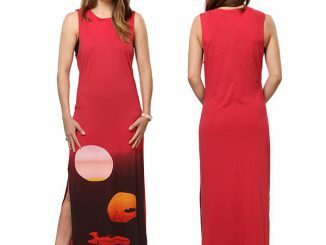 Sort of makes you want to drop everything and head to the land of desert scavenging and insta-bread, doesn’t it? 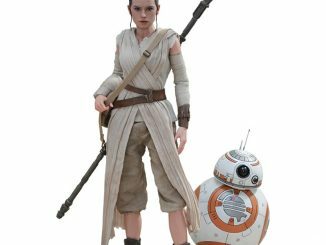 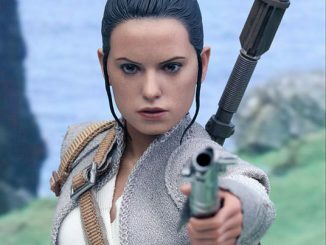 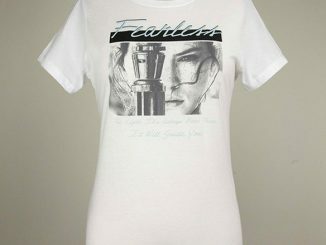 Available for $29.90 at Her Universe. 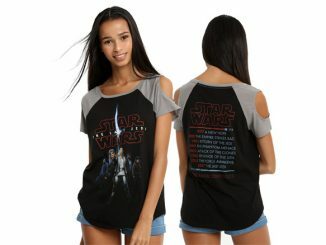 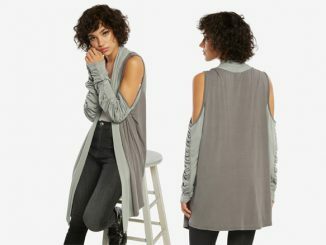 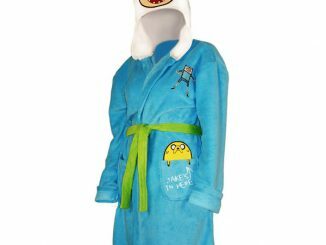 And if those shoulders get too cold, you can always slip into the Star Wars May The Force be With You Denim Jacket.